Commissioner Miller, U.S. Equal Employment Opportunity Commission. J.D., Harvard Law School; B.A., University of Pennsylvania. This article was written by Mr. Miller in his private capacity. No official support or endorsement by the EEOC or any other agency of the U.S. government is intended or should be inferred. Certainly litigation in federal court is a critical component to implementing this vital civil rights statute, and mediation is not appropriate for every kind of disability employment rights case. 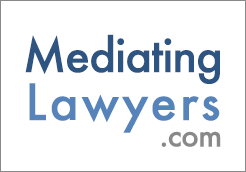 However, mediation is not second-class justice either, and in many instances, with procedural safeguards to ensure fairness, mediation can provide better justice than a lawsuit.